On March 29th, 2007, we received at the main office a Letter from the “Empresa Peruana del Año” Organizing Committee President and the President of a Non Profit Corporation (Asociacion Civil Empresa Peruana del Año) informing us that the Assessment Committee composed by the main Peruvian Universities Committee composed by the main Peruvian Universities and other prestigious organizations determined that SEGURIDAD OPERACIONES SALVATAJE AJUSTADORES Y PERITOS DE SEGUROS (“S.O.S”) had won in its corresponding Category of Services, Section of Loss Adjusters and Loss Assessor. On this page, this letter and the Assessment System where the grading indexes are described, also the information sources taken into account for this award are observed. Therefore, “S.O.S.” ADJUSTERS AND I NSURANCE EXPERT APPRAISALS obtained the “Testimonio de Excelencia” Certificate. Jerry Bell-Taylor Davila, our Managing Director, received the “Empresa del Año 2006” prize. He was given an honor medal and a “Business Leadership Master” Certificate. Furthermore, in 2008, we received greeting letters and the acknowledgement of “EXITO AWARD´S” prize and “INTERNATIONAL BUSINESS AWARD´S prize. 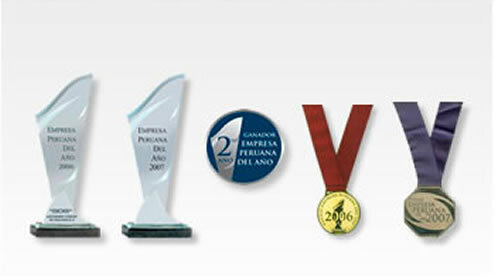 In 2009, we were awarded the Letter from the Organizing Committee President and the President of the Asociacion Civil for third consecutive year, considering us fit to receive the “Premio Empresa Peruana del Año 2008” in the Category: Services and in the Insurance Adjusters and loss Precenters´ section. Likewise, we received greeting letters and acknowledgements from “BIG BUSINESS LATIN AMERICAN BUSINESSMEN 2009”, “VIP DIPLOMATICA 2009” magazine, “CINTA ROJA y BLANCA 2009”, the “THE BIZZ AWARD´s 2009” business prize and the “EXITO AWARD´S 2009” acknowledgement. The aforementioned national and international organizations greetings and acknowledgement validate our commitment to provide a professional and quality service to our main clients.